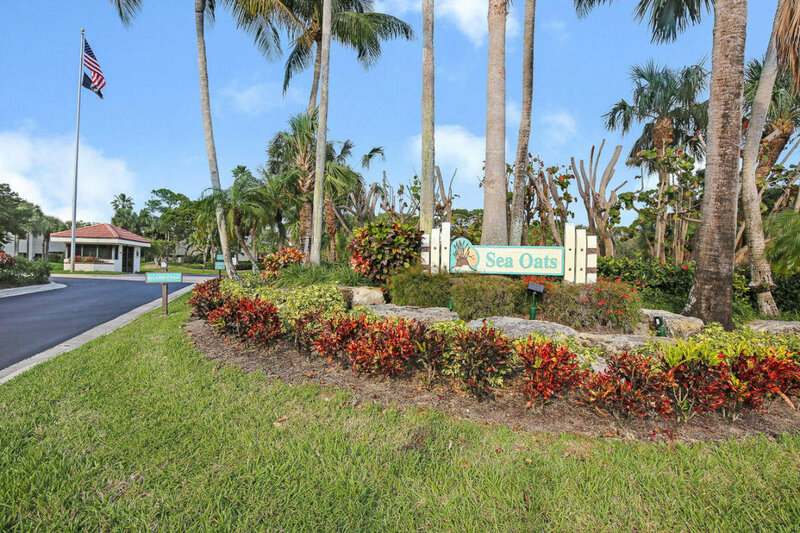 The peaceful beachside neighborhood of Sea Oats is conveniently situated west of Donald Ross Bridge near Juno Beach. Construction of this serene community commenced in the 1980s and resulted in a total of 35 buildings housing 214 units. Each unit offers 2 to 3 bedrooms and living space ranges from 1200 to 1746 square feet. Residents and their visitors enjoy the community’s amenities – a tennis court, swimming pool, and a clubhouse with pristine views of the lake. The community is close to premier spots making shopping, dining and entertainment a breeze. The beautiful sands and surf of Juno beach are just around the corner. People of all ages enjoy viewing amazing sea turtles in recovery at the Loggerhead Marine Life Center. HERE IS A VERY NICE, LARGE, 3 BEDROOM TOWN HOME WITH PRIVATE POOL. UPDATED MASTER BEDROOM ENSUITE ON GROUND FLOOR WITH NEWLY RENOVATED MASTER BATH. THIS HOME IS ONLY A FEW BLOCKS TO THE OCEAN BEACHES AND IS READY FOR YOUR WINTER ENJOYMENT THIS YEAR IN SUNNY FLORIDA. CLOSE TO SHOPPING, THE GARDENS MALL, THEATERS, SPRING TRAINING, GREAT RESTAURANTS AND SO MUCH MORE!